Via*???? *on Weibo, we have images of the colored prototype of the upcoming*Toyworld:*TW-FS01, based on*The Last Knight WWI Bulldog. Toyworld*brings us a representation of a character with a brief moment on The Last Knight film, but who got attention of fans for his original alt mode. This old robot was one of the veterans who was under the care of*Sir Edmund Burton. He transformed into a*1917 Mark IV tank “Bulldog” from World War I. Bulldog is made in scale with popular Studio Series line (seems like a Voyager class). As we can see from the images this mold is full &#187; Continue Reading. 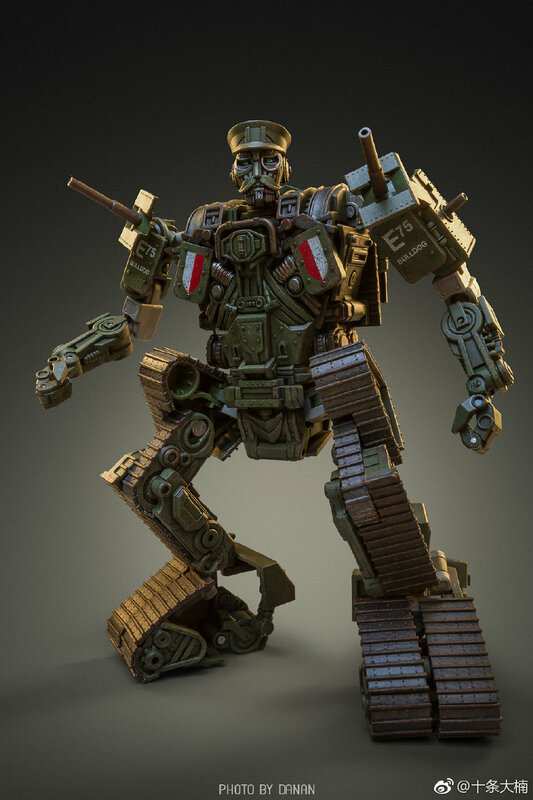 The post Toyworld TW-FS01 (The Last Knight WWI Bulldog) Colored Prototype appeared first on Transformer World 2005 - TFW2005.COM. On topic note, pass. I dont even get why anyone would want this but that's just me. I actually like this. It looks great and the alt mode is not something you see every day. I won't get it though since the size to price is not something I will pay anymore for third party products.